All TIERRA DEL RIO PARCEL 4A homes currently listed for sale in Peoria as of 04/23/2019 are shown below. You can change the search criteria at any time by pressing the 'Change Search' button below. "This home has it all! 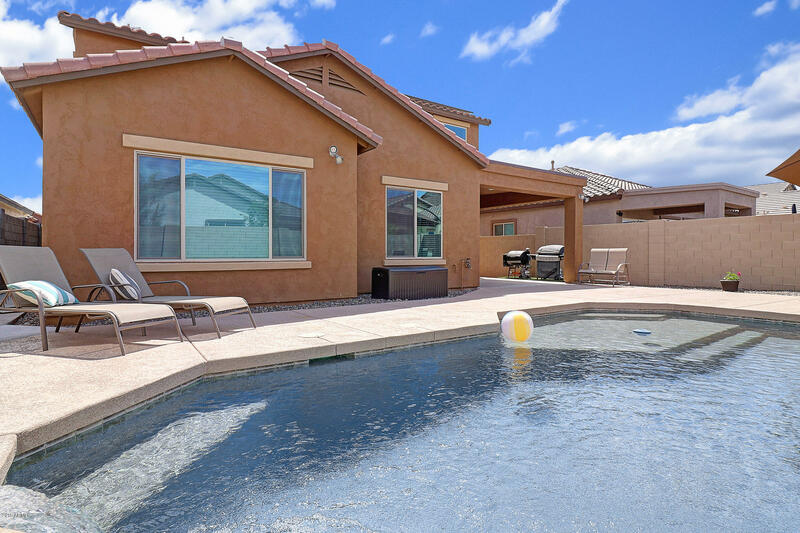 The curb appeal boasts flowering desert plants, driveway extensions & concrete path from the driveway to the back. The sparkling Pebbletech pool comes w huge cool decking, 2 water falls, aerator, LED party lights & you'll love the Laguna Seating! Inside you'll find a lg entry w office/bonus room off the front of the home & a lg bedroom w full bath alongside the laundry room. The great room is completed w an open to second level ceiling, wrought iron stairwell, giant pictur"